Heartbreaking Cards of Staggering Genius: Did I Score A Sonny Jurgensen Autograph? 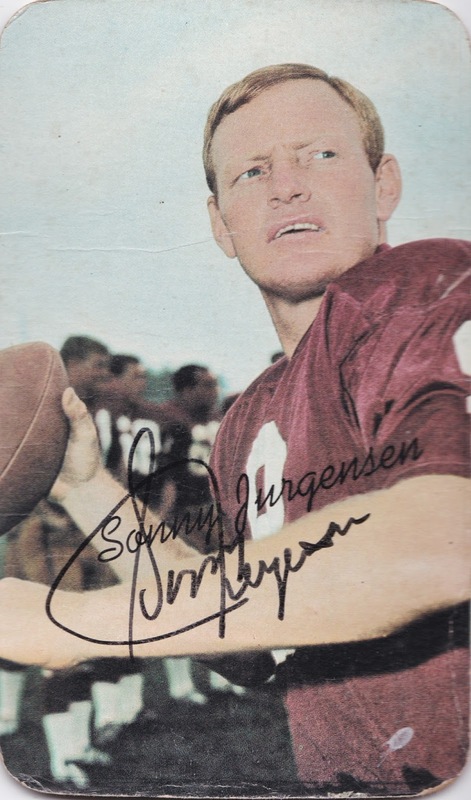 Did I Score A Sonny Jurgensen Autograph? Included in an eBay autograph lot I received at Christmas was this Sonny Jurgensen 1970 Topps Super Football card. 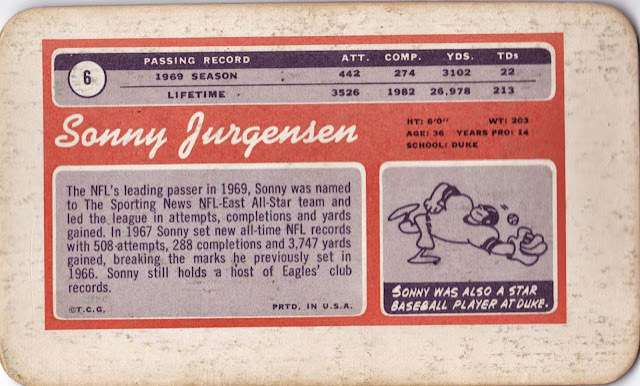 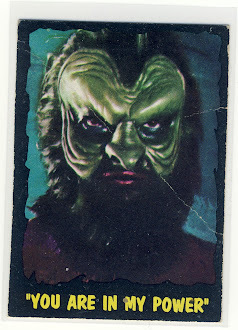 The card wasn't a key part of the lot and, as you can see, isn't in the greatest condition. 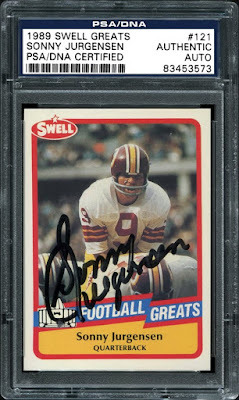 It has some major creases on the front and the back has clearly been rubbed against a surface enough to leave some wear and tear. But it also has an signature on it from the Washington Redskins Hall of Fame quarterback so it's worth taking a closer look to see if it is legit. 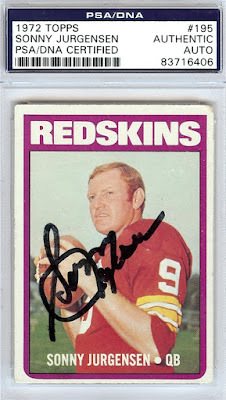 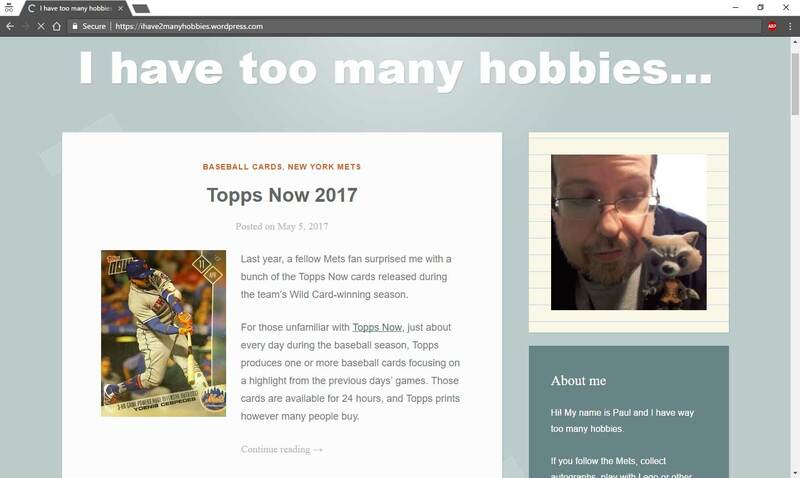 As you can tell, the 1970 Topps Super cards already has a facsimile autograph on it which sort of makes it an odd choice to add a legitimate autograph too, especially if the subject is going to sign right over the top of like like Jurgensen did. 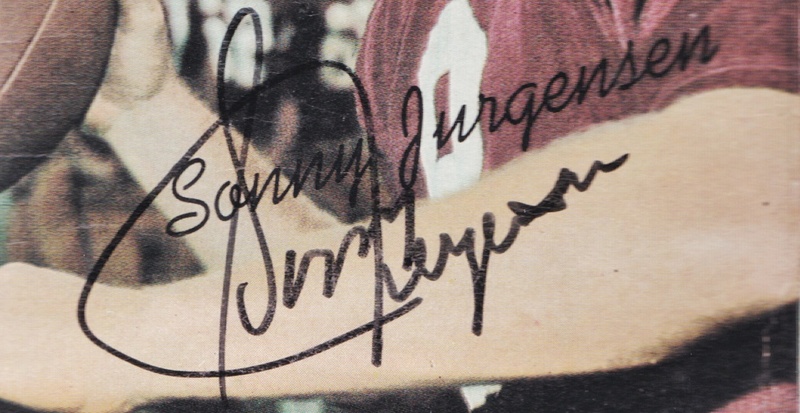 Here are a couple of PSA certified example of Jurgensen's autographs with a similar black marker. I think the capital "S" is pretty close and the overall sloppiness of the final letters of "Jurgensen" seem to match as well.